The start of spring hails the beginning of wedding season – it seems like every weekend has another wedding or formal celebration to attend, so naturally you’ll want to look your best. The ladies might complain that we men folk have it easy, but we know that’s just not the case. 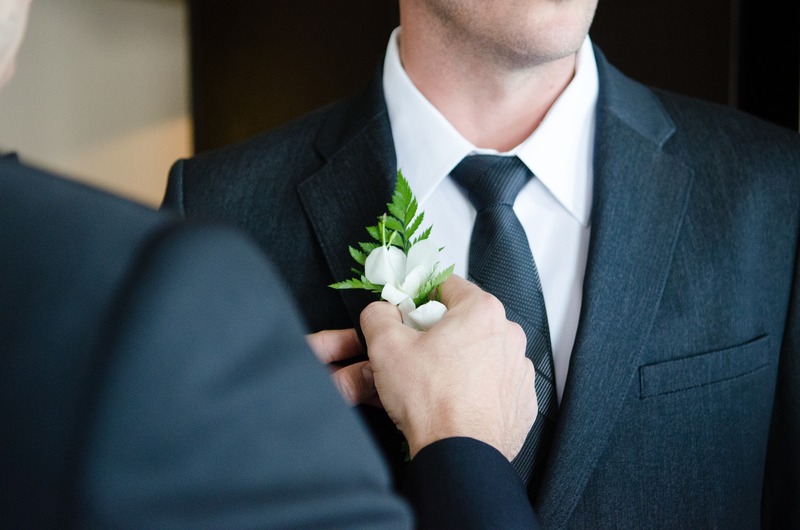 To make sure you’re looking photo ready, here’s your essential man prep for wedding season that you should start thinking about now. When was the last time you tried on your suit? If it’s a little worn in or doesn’t quite fit you anymore, it’s time to invest in a new one. This is definitely something you want to check sooner rather than leaving it to the last minute. Check out our recent post on knowing your patterns for picking out a stylish suit for all weddings or formal occasions this year. A three piece suit it generally the norm for any men attending weddings, and you can switch your shirt, tie and pocket square for each occasion. If you’re buying a new suit, it stands to reason that you’ll probably need a new pair of shoes to go with it. We have every style, colour and fit that you’re likely to ever need, so browse our collections now for inspiration. Wearing a navy suit this year? These tan Barker Flore leather shoes will be perfect. Perhaps a pale grey suit is more your style? If so, these black Barker Fred elegant laced shoes are sure to impress in the style stakes. An essential part of man prep for wedding season is a haircut or at least a hair trim if you don’t plan to change your style that much from what it is now. Don’t neglect this before a big event as it doesn’t take much to change you from scruffy to suave. Facial hair might be all the rage these days, but for a wedding where you’ll look back on the photos in years to come, you don’t want your beard to look out of control or untamed. A good barber will be able to shape and trim your beard if you’re not confident about doing it yourself, and then you can manage the upkeep yourself in the days that follow. It mightn’t be nice to talk about, but sometimes it needs to be said – gents, get that hair under control. If you tweeze your eyebrows try to do it after a shower when your pores will be more open and therefore provide less resistance when plucking out those unruly hairs. Summer is nearly upon us, and now more than ever you should be wearing a daily moisturizer with built in SPF to protect your face against damaging UV rays which can attack your skin leaving it looking older. In the weeks before a big event make sure to wash your face twice daily with a cleansing face wash and drink plenty of water to keep it clear and reduce the chances of breakouts.